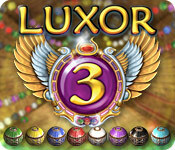 Luxor 3 is rated 4.3 out of 5 by 22. Rated 5 out of 5 by ooakPlayer from Fast-Paced, engaging, challenging and FUN First off, I have to say that I haven't been through the entire game yet. I am only at Stage 5-2 in the Adventure and I have done the Puzzles up to 18. But I wanted to let everyone know that right-clicking alternates the color of the spheres in your shooter. You absolutely cannot get through some of the puzzles without knowing this. And dumb me... I work on a Mac and I generally have the "right-click" disengaged on my Apple Magic Mouse as it sometimes interferes with my work... so it took me a while to figure out that I had to reinstate that action. But it is necessary and makes the whole game so much more enjoyable, even the regular shooting levels but especially the Puzzles. It's fast-paced and challenging. My only complaint is that there is a little too much lag time as the game and each level starts. I am not much interested in the name/number of the level... I just want to start shooting! The music is wonderful, perfect for the action of the game, but I wish there was a little more variation in it as it's a little repetitive. Oh, and I have gotten stuck on a couple of puzzles, but there's a lot of help online from experienced gamers on YouTube. Just type in the Puzzle number and Luxor 3 and you're sure to find some help. Thanks to all you experienced gamers! All in all, a terrific game and though I may not play it for extended periods of time, I find myself launching it for 15 or 20 minutes everyday. I just LOVE it!! Rated 5 out of 5 by ElNirmalSitaldin from One Of The Best Luxor Games Of The Franchise Embark on a journey to help a young pharao's ka to the afterlife! 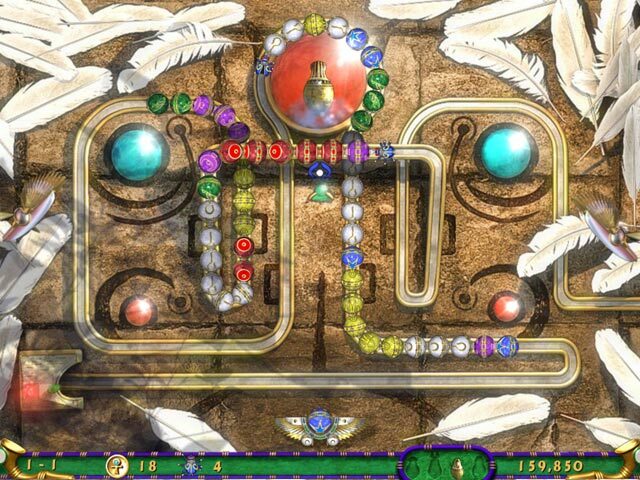 Defeat as many scarabs as you can of Amun and reign victorious with every level you play! 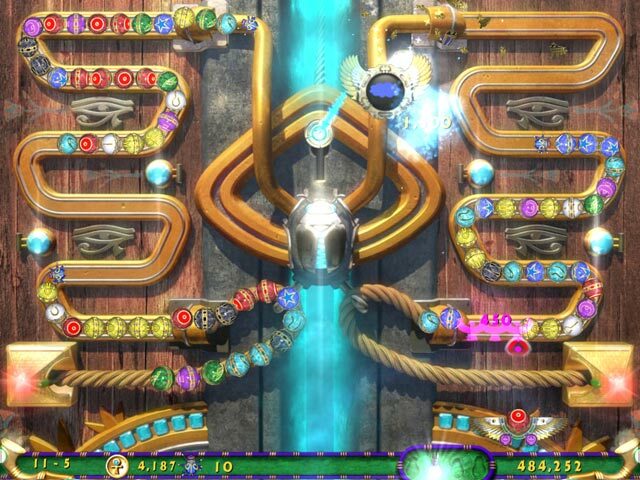 In Luxor 3 there are a lot of changes compared to the last games. You can modify your catcher, spheres and even upgrade the bonuses. 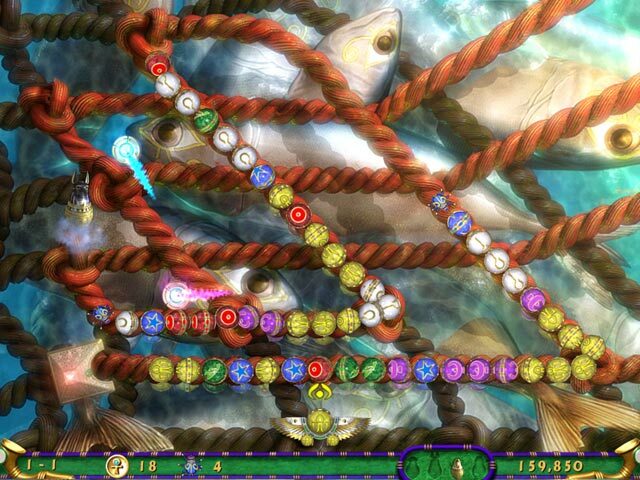 The gameplay is really fun and exciting, I loved the associated music and the graphics. Rated 5 out of 5 by Dope2008 from This is a great game that you can't miss. Dude,believe me,this may be the best zuma game ever.It will bring you a lot of fun.I love this game.You won't miss it. Rated 5 out of 5 by grego10 from I enjoyed the game :-) The Big Fish Games is an excellent game to play in your spare time if you are not working. It's exciting to learn more about adventure. Rated 5 out of 5 by Vendetta2012 from YES YES YES YES YES!!!!! Love the whole series!!!! Everything in this game is good. I'll admit tho' that the music will get on your nerves but, you can turn it off. Graphics very good playability good. Only draw bcy is after playing for longtime your shooter'll have a tendency to slide all the way to the left on its own(a bit frustrating) othe then that it's AWESOME!! !